When setting up a water management plan (WMP) in LAMPS, simply selecting “Hotel” from a dropdown menu gives you policies and procedures specific to hotel, resort, and casino properties. You can then customize the content per your facility’s water systems and your preferences. 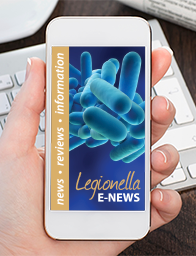 We understand you need to reduce the risk of Legionella and comply with ASHRAE 188—on a tight budget. You want to protect the people in your properties—and also protect your revenue and brand—without overspending. If you oversee multiple properties, you can keep your policies consistent among them, reducing legal risk. You’ll see all the site names in one dashboard, with a “Quick Verification Status Report” of each property’s compliance.